We had the opportunity to review the Perelandra – eGuide from Progeny Press. There is so much great literature out there and just not enough time to read everything. That is what I have found as my children have gotten older. I have a list of assigned literature they are to read for each grade level of school. Then, I have a list of other books I want them to read before they graduate high school. And, on top of that, there are other book titles I learn about along the way that I want to get into their hands, also before they graduate from high school. The desire, always, is that their comprehension level keeps up with what they are reading. Some books are meant to just be read; no questions to answer, no book reports to write and no deep thoughts as to why the author wrote one thing or another. Then, sometimes, there are books I want them to pursue past the story and seek the answers to those type of questions. 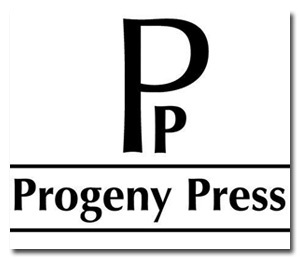 We have had the opportunity to review eGuides from Progeny Press in the past. Before we started using the eGuides, I figured them answering a few questions regarding what they read was sufficient. After using an eGuide, I realized there was more to the stories they were reading than just the answers to a few questions. Progeny Press helps my children go past the story and gain a whole new perspective about what they are reading and answers the whats, whys and hows? We reviewed the Perelandra – eGuide, which is for high school students (ninth through twelfth grades). Progeny Press also offers eGuides for Lower Elementary (kindergarten through third grade), Upper Elementary (fourth through sixth grade) and Middle School Students (sixth through eighth grades). The number of eGuides in all levels is large, so you will probably find some for a number of the literature books you assign in a school year. The literature book does not come with the eGuide, but you may order the books from Progeny Press. Progeny Press suggests the student read the literature book in its entirety before completing the eGuide. In the past, we have used the literature eGuides both ways; read the book completely and read the chapters and completed the eGuide portion for those chapters. This time, River used the Perelandra – eGuide reading the entire book before using the eGuide portion. Perelandra is a new title to me, but one of the many from author C.S. Lewis. It is actually the second book in the Space Trilogy. As with many of Lewis’ titles, Perelandra takes the readers to a mystical place with non-human inhabitants and just as much imagination as one would expect from him. The cool tie-in is the symbolism and similarities to the Garden of Eden. This is a series River is enjoying, but I know one Lily (soon-to-be high schooler) will not read; too much mysticism. River finished this book and started at the beginning of the series with Out of the Silent Planet: (Space Trilogy, Book One) (The Space Trilogy 1), which also has a Progeny Press E-Guide. Some of the eGuide activities included learning more about C.S. Lewis. Although, we already know much about the author, the synopsis is a good read for someone who may not already know about Lewis. It gives the reader some insight as to the whys the author may have written the book. Vocabulary – In high school, the words are more challenging and ones that can help build a stronger vocabulary base for your children. Analysis – Looking at different scenarios from the book, he was to explain what each passage meant. There is also a section with general comprehension questions, which are also good. If you decide to read the book with your child, they can lead to great discussions as we have had when using some other Progeny Press eGuides. Dig Deeper – I think this is one of my favorite sections. More questions are asked, but the student pulls from his ideas and relates himself more to the events in the book. Some of his responses depended upon verses he was assigned to read in the Bible. I just sat and listened to River share his ideas. See more of the covered sections. I can tell a difference in the content in the high school level guides. The eGuide covered questions that required River to take more time in thought, which is good for high school level curriculum. I will admit, he did not like all of the writing. Of course, I did, because it gave him good practice in processing his thoughts and typing them for me to read. Whether or not you decide to let your child read responses, write or type them is obviously up to you, but I think it is good practice for them. I like the interactive feature that is included in all levels of eGuides that allows students to key their answers to the exercise using a computer. It saves on printing the pages and also gives your student (especially high school) a chance to use his typing/keyboarding skills. I think that feature made the work less tedious for River, because he liked not having to write his responses. The work was heavier as he progressed through the story. I also like the inclusion of biblical content, because he was able to gain perspective on the story using the Bible as a guide. Overall, Progeny Press eGuides provide a thorough comprehensive experience with literature that goes way beyond just reading the book from over to cover. A Study Guide and Lesson Plan is also available. You may purchase the Perelandra – eGuide for $21.99.